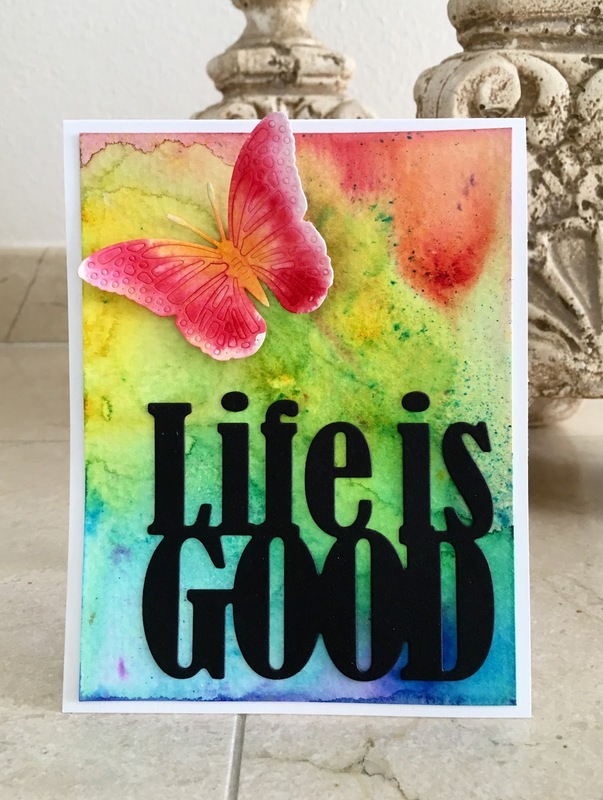 Hi there, I am here today to share a super happy full of life card with one of our newest Cheery Lynn Designs die called Whimsical Life Is Good. 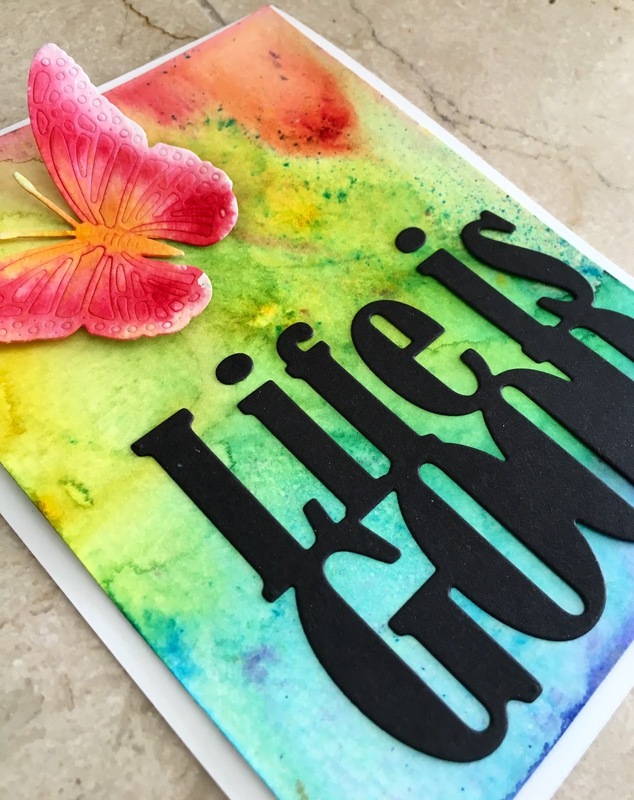 This card was so fun to create and I absolutely love this sentiment die! It will be used a lot! I could see this on canvas or layouts, or any other projects, or just a card like I made. To create this card I cut down an A2 size card base than I cut a 1/4" smaller card front out of watercolor card stock as I wanted to paint a fun watercolor background. To do that, I used Color Burst Watercolor Powders. Than I die cut the sentiment out of black as I wanted it to be bold. Finally I die cut one of the Small Exotic Butterflies #2 w/Angel Wings ad painted them in and added them to my card and that is it! And here are the dies I used to create this card with. Hope you like this colorful card and can't wait to see your cards in our newest challenge!